Pull up the carpet. Remove the carpet strips, little rusty nails and industrial staples. Chisel free the old tiles. Scrap, scratch and pry off the fossilized black glue. Rent a sander so heavy that only a body builder from the fifties could comfortably wield it. Sand until your lower back seizes up. Sand some more. Keep sanding. 2×6 redwood tongue and groove flooring so rich and straight and proud it makes your heart break. Welcome back to the light dear trees. That is a thing of beauty. 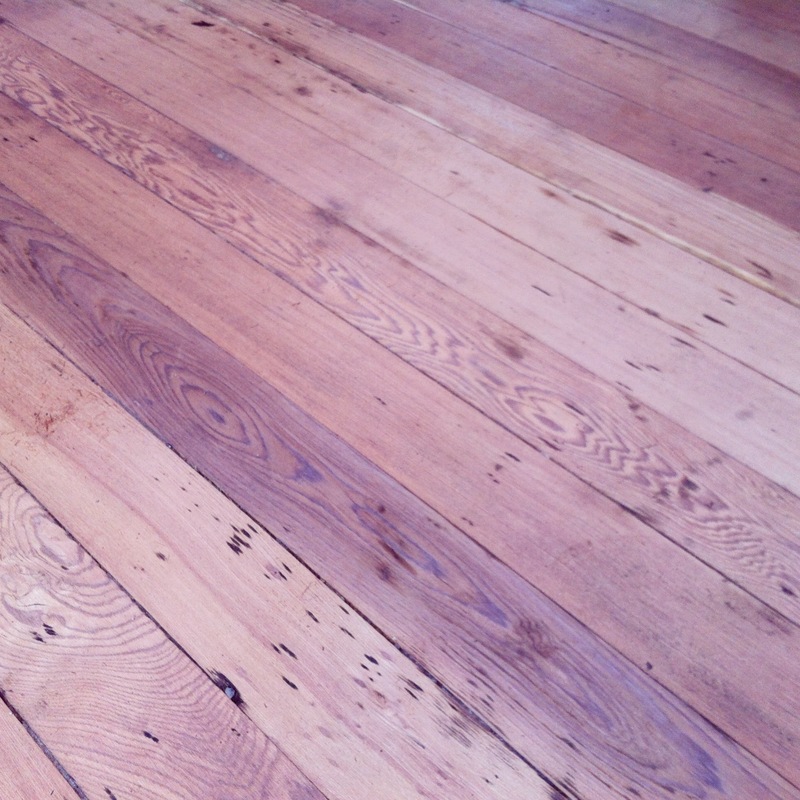 I hope my fir floors look as good one day. Today they are buried under some cheap carpet from the previous owners. I know they are there waiting, but they will have to wait until some other structural work is done. Thanks for the inspiration.